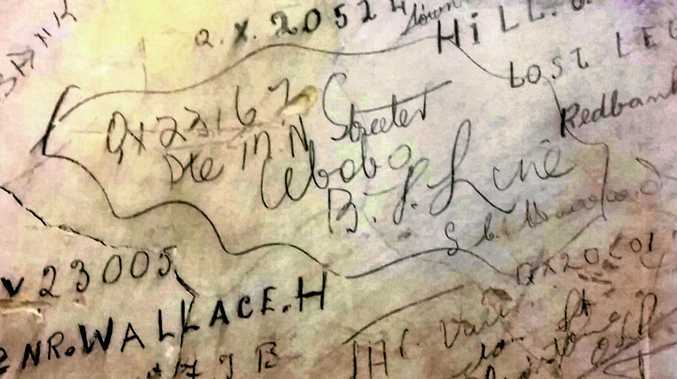 LATRINE LEGACY: Old Ubobo resident Mervyn Streeter scrawled his name on the Brisbane City town hall toilets during WW2. SOLDIERS have been etching their names on walls since Roman soldiers scratched their names on the pyramids. 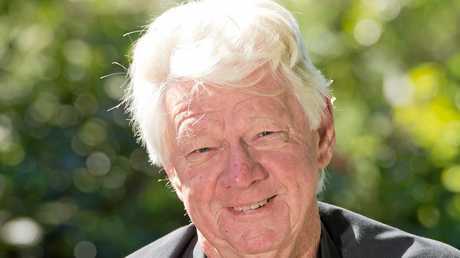 Nagoorin resident, Ron Streeter said his father's cousin Mervyn Streeter continued the long-standing tradition on the toilet walls of Brisbane city town hall. "Mervyn was a gunner, I believe he was in the Pacific theatre of combat," he said. "He was returning home and the Country Women's Association were handing out pads and pencils to the soldiers. "They could write letters home, but a lot of them scrawled their names on the latrine walls. In 2008, Brisbane City Hall was being renovated and a section of cladding was removed from the old walls revealing over 150 signatures of WW2 veterans. "Mervyn's signature was among them," Mr Streeter said. "He returned to Ubobo, married Evelyn Rowe and they had nine children, as they did in the years before television. "He died in his 60's, and Evelyn only died this year." The old toilet wall has been preserved and is listed on the Queensland Heritage Register.